Francesca And James Hetfield.Your favorito! photo. la elección de los fans: Everything DUH! Is James your favorito! Metallica's member ? la elección de los fans: He is !!!!!! Were tu on flight 1680 from ATL to SFO on Dec 20? What do tu have in common with James? is it just me, o has anyone else ever wondered what's going through james' mind if he happens to see all of this stuff being publicado about him? James Hetfield: I was in a band called Obsession. And then there was another band called Leather Charm. Then I met Lars. 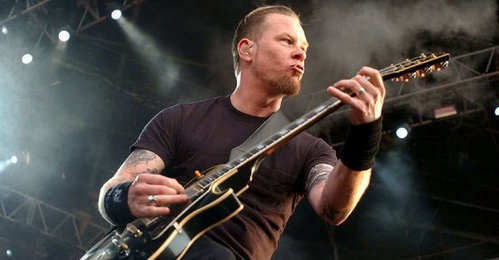 James Hetfield: If I'm hung over, I'd rather just stand on the side and play. We wanted to get a frontman but no one sang good enough so I just did both. a question se añadió: Were you on flight 1680 from ATL to SFO on Dec 20? a comment was made to the poll: Is James your favorito! Metallica's member ? What is his daughter's name?